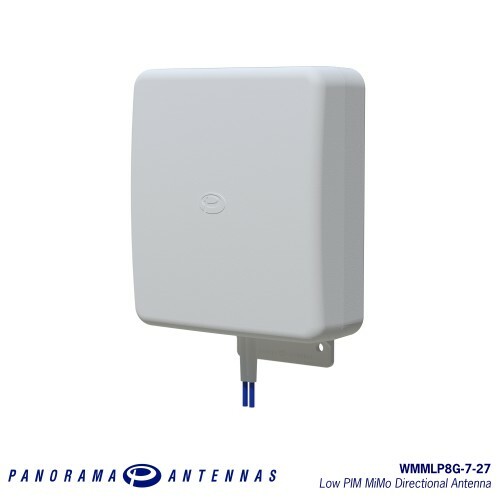 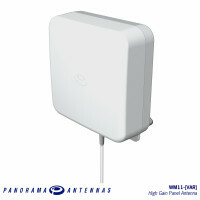 A versatile MiMo directional antenna for InBuilding applications, Panorama’s WMMLP8G range allows businesses and facilities to support multiservice/multi-operator wireless coverage. 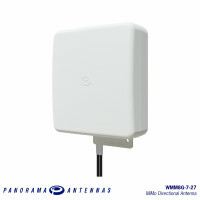 The WMMLP8G-7-27 supports 2x2 MiMo / diversity 2G, 3G, 3G+ and 4G technologies including LTE, AMPS, PCS, GSM, UMTS, and AWS. 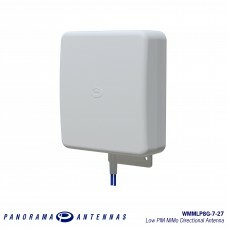 The WMMLP8G-7-27 range is housed in a UV stable and flame retardant plastic. 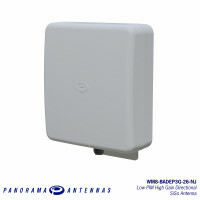 The antenna is sealed to be weatherproof and the supplied low PIM cables are terminated with either N female or 4.3-10 connectors making it ideal for indoor and outdoor deployment, including InBuilding coverage or network infill applications.